Relate: “What religion are you?” I get that question a lot when talking to people. My immediate answer is always, “I’m Christian.” There is nothing more annoying than hearing over and over “I don’t have a religion. I have a relationship.” One of these days I am going to respond to that, “No, you have an identity crisis.” The Bible describes religion as caring for the needy in their distress and keeping oneself from being defiled by the world. Mr Webster defines religion as: 1. the service and worship of God, 2. a personal set of religious attitudes, beliefs and practices, 3. commitment or devotion to religious faith or observance, 4. a cause, principle, or set of beliefs held with faith or ardor. If a person is a follower of God than both the Biblical and dictionary definition of religion applies to them. So yes, I do love Jesus and religion. I wasn’t sure if I loved or hated his answer. For the record, we are part of the Assemblies of God. However, our connection with the Association of Related Churches (the ARC network) and our connection with other churches in our community in many ways is stronger than our denominational ties. Those who have made Two Rivers their home come from a wide variety of religious backgrounds, and worship traditions. Each week during pre-service prayer another local church in our community is prayed for specifically by name and our prayer is regularly that God will bless and move through all of the churches in our community. It is no surprise that someone might not be aware that the “assembly” of Two Rivers Assembly is actually a part of a denominational label. React: It makes my heart sing to see that more and more the importance of denominational labels are falling away and there is a community, a unity, that goes beyond which particular church a person attends. Please don’t get me wrong. It is important for a person to learn what they believe and why. It is important to study the Word and to hold firm to what it has shown you, but those items of faith that might be labeled denominational distinctives and things like Calvinism vs Arminianism take a backseat to Christian unity. Do you believe that Jesus Christ is the Son of God who lived a sinless life, died on the cross for our sins, and then rose victoriously on the third day? Then we are family. Everything else is just quibbling about the details. We might come from different folds, but we are one flock following one shepherd. God, let there be no doubt that I am a follower of You. Help me to live in and promote unity with all who call themselves by Your Name. Help me to live with a contagious love for Your people and Your church. 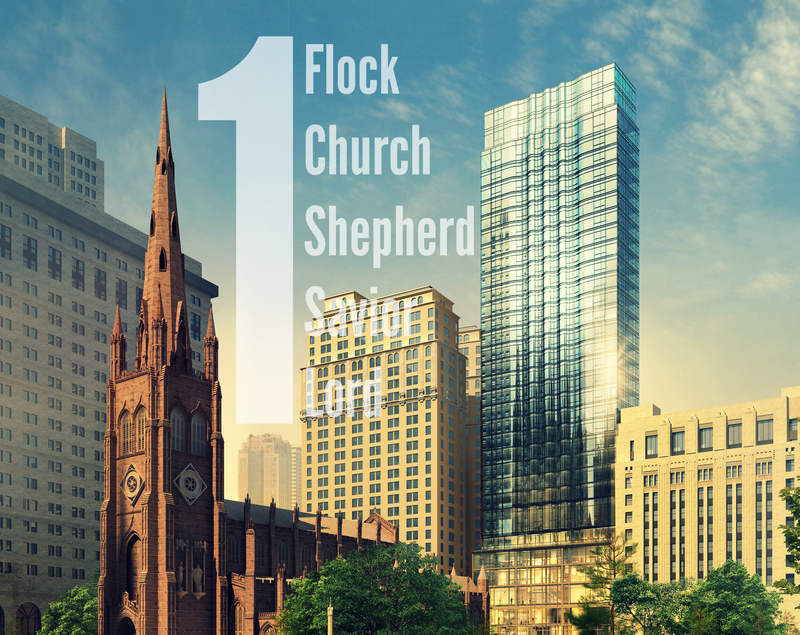 Even though we might attend different buildings and follow You in different ways with different preferences, let us never forget that we are one flock with One Shepherd, One Savior, and One Lord. Love this BJ – community: come to unity. Thank you. Bless you. The label is not important to the belief. Jesus died to give everone a chance, not just the people of one denomination. I set back many times and wish all denomination would adopt only the ten commandments as their guidance. Additional man made rules not required. This is great! I did a blog on Jesus as our good shepherd a while ago. Feel free to check it out @ https://jonathancamac.wordpress.com/2016/03/16/the-good-shepherd/ 🙂 thanks again for what youve written, it’s good stuff! Yessss, the main thing is Jesus ❤ Unity in belief in Jesus. Good word, brother. “Everything else is just quibbling about the details. We might come from different folds, but we are one flock following one shepherd.” Amen. How often we get stuck in the label or in the detail without remembering that Jesus and only Jesus is the Way, the Truth and the Life. Everything else really is quite irrelevant when it comes down to it!